State Farm has bolstered LKQ’s bottom line with a boom in aftermarket chrome bumper orders over the past year and a half, according to transcripts of the supplier’s earnings calls archived on Seeking Alpha. The collision parts trend continued in the second quarter of 2015, as CEO Rob Wagman told analysts LKQ’s chrome bumper sales were up nearly 17 percent and attributed it predominantly to the nation’s No. 1 auto insurer. An LKQ spokesman on Tuesday said he couldn’t elaborate on the company’s sales to State Farm. State Farm declined Thursday to comment. The Seeking Alpha earnings call transcripts indicate that State Farm began heavily buying aftermarket bumpers from LKQ as early as the first quarter of 2014. 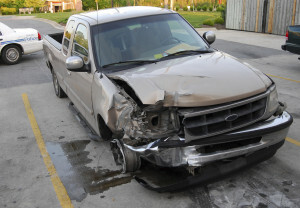 State Farm in 1999 announced it would temporarily cease using aftermarket collision parts, though it appears State Farm repairs began receiving them again sometime between then and 2014 based on reports to Repairer Driven News on Thursday. We’ve contacted State Farm for better clarification on this point. Wagman told investors on April 29, 2014, that the insurer’s return to LKQ certified aftermarket chrome bumpers came “in close conjunction” with its partnership with PartsTrader, according to the transcript. “While these are still early days, we are encouraged by the fact that State Farm is looking at the aftermarket parts industry once again,” he said, according to Seeking Alpha. “As of now, they have not given any indication of a broader program. However, we obviously view this as a positive move after nearly 15 years on the sideline. Wagman later said in the call that LKQ wasn’t involved in the decision, according to Seeking Alpha’s transcript. The chrome bumpers were for use on pickup trucks, according to Wagman. “It is pretty limited in that respect,” he said. State Farm appears to have later that year formally outlined an aftermarket parts policy in “Replacement Parts Promises” to consumers which state the insurer will use “new non-OEM” parts certified by either the National Standards Foundation or the Certified Aftermarket Parts Association. Though State Farm said in the documents, which seem to be dated July 2014, would use certified aftermarket bumper parts; panels; and radiator supports, tie bars and other mounting components, LKQ only discusses the bumpers in the calls. In its July 31, 2014, second-quarter call, Wagman said chrome bumper sales were up 22 percent, “which we believe is partially attributable to State Farm,” according to the Seeking Alpha transcript. On Feb. 28, 2015, Wagman reported a 22.3 gain in fourth-quarter 2014 chrome bumper sales and told analysts LKQ was “cautiously optimistic” State Farm would use more aftermarket parts, according to the Seeking Alpha transcript. Despite the big 2014 first quarter of chrome bumper sales, purchases of the parts were still up 19.5 percent, Wagman said April 30, according to Seeking Alpha. “We continue to really raise the number on the products they (State Farm) are writing in the aftermarket, in the bumpers,” he said. Clarification: Though LKQ reported to investor analysts in early 2014 that State Farm had just resumed buying aftermarket parts from it, that does not appear to be the first time since 1999 that State Farm repairs had received aftermarket parts. We’ve revised this article to clarify that distinction.